Marco Antonio Colombi Giacomelli, Brazilian, born in Florianópolis / SC, on August 25, 1976. Married, father of Antonio. Graduated in Business Administration, Marco Giacomelli started his relationship with photography in 1998. 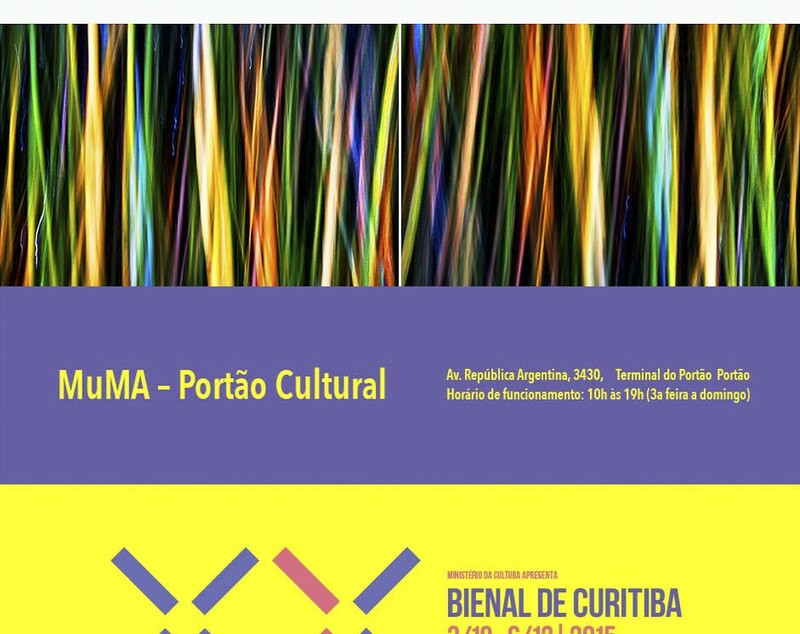 His works have been exhibited in local and international events, namely: “Setting Time”, individual exhibition in Helena Fretta Art Gallery, in Florianópolis in August / 2015; “Dialogues Exposed,” group exhibition held at the Cultural Foundation Space 2, Badesc in June / 2014; “Perspectives,” group exhibition held at Gallery Helena Fretta, in Florianópolis / SC, in May / 2014; “Interference. Scott MacLeay and Guests: The Florianopolis to Way, “group exhibition held at the Integrated Center of Culture – CIC, Lindolf Space Bell, from April 29 to June 2, 2014; “Photography (s) Brazilian Contemporary: Traces of images and noises,” group exhibition held at the Art Museum of Santa Catarina – MASC, Florianópolis / SC – Brazil, in 2013; “9 Red Tones”, group exhibition of the Collective Arts & Communication, Florianópolis / SC – Brazil, in 2012; “Urban Intervention, Photo 120,” the Cultural Foundation Alfredo Ferreira Lage, in Juiz de Fora / MG – Brazil, 2012; “On Photography”, solo exhibition held at the Cultural Foundation Badesc, Florianópolis / SC – Brazil, in 2012; “Architecture and decoration,” solo exhibition held at the Casa Nova Santa Catarina, Florianópolis / SC – Brazil, in 2012; “The Light and Time” – group exhibition held within the Festival in Florianopolis photo, at the Art Gallery Helena Fretta, Florianópolis / SC – Brazil, in 2011; “Autumn Forms” – collective Event 6 x 6, held within the Festival in Florianopolis Photo, the Municipal Art Gallery Pedro Paulo Vichetti, Florianópolis / SC – Brazil, in 2011; “Cities Nearly Invisible – Snapshots Fragments” – Group exhibition at the Cultural Foundation BRDE, Florianópolis / SC – Brazil, in 2011; “Snapshot Fragments” – group exhibition held at Orchard Art Gallery, Bethesda, Washington – USA, in 2011; “Impressions evanescent “, the collective 5 in Focus, held at the Art Gallery Helena Fretta, Florianópolis / SC – Brazil – 2010. 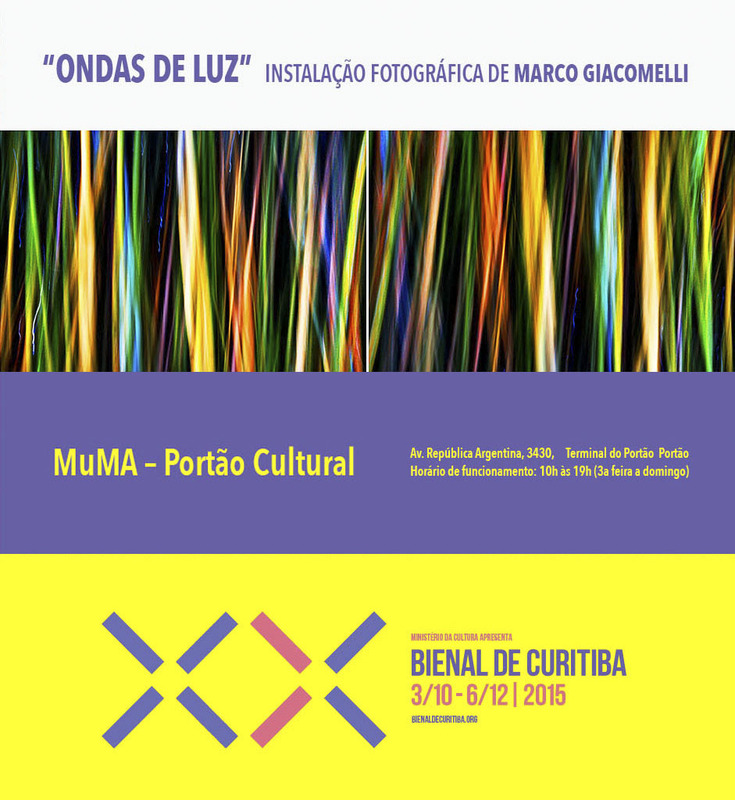 (Português do Brasil) "Ondas de Luz", Marco Giacomelli.